AIMCRA (Asociación de Investigación para la Mejora del Cultivo de la Remolacha Azucarera) is a nonprofit organization (association) funded in 1966. It is administrated (managed) and equally financed by the Spanish sugar-beetroot industry and more than 6,000 sugar-beetroot farmers. 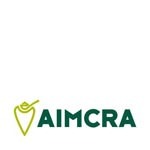 AIMCRA activity is focused on responding the sector demands, through testing and in-field demonstrations, as well as the transfer of the results to the farmers and companies. commitments of environmental sustainability and food security that society demands. 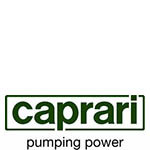 The CAPRARI GROUP can deal with all the customer’s needs and provides the most efficient solutions for the main water and wastewater requirements: borehole pumps, vertical turbine pumps, surface pumps, drainage pumps and electric pumps and aeration system for sewage. Inside CAPRARI GROUP, and like a subsidiary, BOMBAS CAPRARI, S.A. has developed a PV solar pumping for standard AC motors. 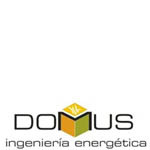 Engineering Company, founded in 2008, specialized in the development of renewable energy projects and energy efficiency applications for industry and services, developing the projects entirely from engineering, supply, and installation. 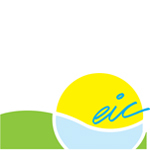 The EIC is an international association whose members are European Irrigation and Water User Associations of Mediterranean countries. At present, belong to this association Irrigation Communities in Italy, Portugal, France, Greece, Germany, Turkey, Egypt, Tunisia, Morocco and Spain. The EIC is a member of the “Strategic Coordination Group (SCG)” for the Common Implementation Strategy of the Water Framework Directive (WFD). Similarly, the EIC has relationships and actively collaborate with the Mediterranean Water Institute (IME), the Mediterranean Network of Basin Organizations (MENBO), the Global Water Partnership-Mediterranean (GWP-Med), the European Union Water Management Association (EUWMA) among others. 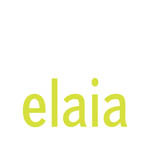 ELAIA is a subsidiary of Sovena Group and Investment Company Atitlan, whose goal is the production of olive oil of excellence, based on the cultivation and exploitation of olive groves, own or lease, beyond managing mills. An integrated design and unique worldwide for its size and integration that operates in Portugal, Spain, and Morocco, also being studied to expanding to other regions of the world. ELAIA currently has 11,000 hectares under exploration, Portugal being the most important country, with about 8,500 acres planted, followed by Spain with a planted area of 1,600 hectares and 1,000 hectares in Morocco. The entire production process is conducted with the highest standards of quality and control from the field which produces olives, to the mills, where it produces oil, ensuring full traceability of production. The production is made in the four mills belonging to ELAIA that turn 100% of the harvest. The new strategy Sovena Group, an extension of its activity to the production of olive oil in bulk, aims, among other objectives, to integrate all segments of the olive sector, from production to marketing of the olive of the final product, enhancing its market position and enhancing strong existing industrial and commercial structure. 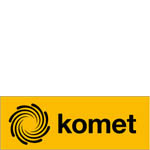 Komet Austria GmbH is a family owned business and has more than 50 years experience in the International Sprinkler irrigation market. In addition to providing the highest quality irrigation equipment, we want to make sure our customers have water application products that operate at the highest levels of efficiency and effectiveness, which in turn will help to limit the waste of our natural resources. The product line offered include high-performance Big Volume Guns and Pivot Sprinkler products for mechanized Irrigation systems. The technology integrated into our innovative products is covered by several International patents. 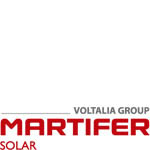 MARTIFER SOLAR has built a global reputation by deploying outstanding price-performance ratio solar plants, transforming solar energy into green assets by maximizing value and mitigating risks. Their recognized capabilities across the entire value chain enable us to manage all phases from market and site identification to the grid connection and subsequent plant operation. Omron Corporation is a global leader in the field of automation. 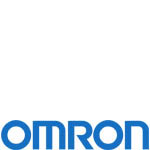 Established in 1933 and headed by President Yoshihito Yamada, Omron has more than 37,000 employees in 36 countries working to provide products and services to customers in a variety of fields, including industrial automation and electronic components industries. The company has head offices in Europe (Amsterdam). The European organization has its own development and manufacturing facilities and provides local customer support in all European countries. 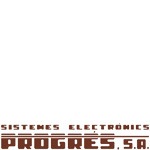 Sistemes Electrònics PROGRÉS, S.A. is engaged, since 1985, in the development and manufacturing of electronic controllers for agricultural fertigation (drip irrigation, sprinkler irrigation, hydroponics, etc.) and other water controls such as the irrigation telemanagement for irrigation communities, big farms, parks and gardens, etc. It also manufactures equipments for the environmental control in enclosed spaces (greenhouses, farms, etc.). Progrés offers 31 years of experience, quality and service in the automation of agricultural fertigation. Since June 2003, Progrés has ISO 9001 certification. 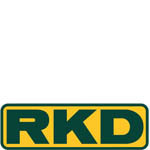 RKD has been involved in the field irrigation since 1962.Our technicians and managers at RKD study, design, manufacture, plan and install the most suitable irrigation systems, in each case taking into account every different lands relief as well as weather conditions, the type of soil and the specific needs for the plants regarding watering them. RKD IRRIGACIÓN is registered under norm ISO 9001-2000 from the year 2003 by BVQI and UKAS. University of Évora has created the BES, Renewables Energies Chair on November 2010, and the Chairman is Prof. Dr. Manuel Collares-Pereira, with a long and well recognized career in R,D&D in the area of Non Imaging Optics applied to solar energy collection (heat and electricity) and solar energy radiation statistics. Solar electricity includes photovoltaic, both conventional and with concentrators (HCPV), as well as solar thermal electricity. The Chair is already in charge of an outdoors PV testing infrastructure for where all types of PV systems (stationary or with tracking, and with or without concentration). The Chair is now setting up two more platforms for testing solar concentrators: (i) one for intermediate temperatures (100 to 250ºC) destined to test solar concentrators typically designed for thermal applications like industrial process heat, cooling, desalination and (ii) another for temperatures suitable to for solar electricity production (up to 500ºC). 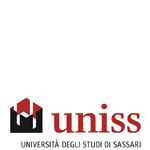 Università di Sassari, Dipartimento di Agraria (USASSARI) is one of the most reputed research institutions in Italy in the field of agricultural sciences. More than 80 senior teachers and several tenths junior research staff members undertake advanced research in several fields, spanning from Agricultural Sciences and Technologies to Animal Production Science, Environmental and Agricultural Biotechnology, Forestry and Environmental Sciences, and Food Wine and Viticulture Sciences. The Department has important research facilities, among which several laboratories and three experimental farms. The researchers of USASSARI have coordinated several national and international research and technical cooperation projects, developing great experience in sustainable agricultural management. 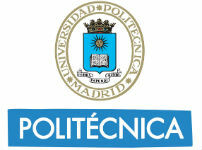 The Instituto de Energía Solar is a research center within UPM. It is an institution linked to R&D activity since the 1970s. It was founded by prof. Antonio Luque, one of the most recognized figures in photovoltaic science in the world. It has participated in the development of solar cells since 1974 and currently keeps a staff of more than 50 people, all of them related to research into photovoltaics. 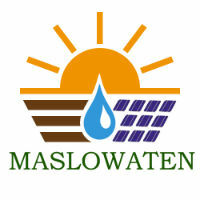 The researchers implicated in the MASLOWATEN project belong to the research group on photovoltaic systems, which was founded in 1985.